Free Educational Video–Let’s FIX IT! As we traveled the country making A Southern Fix, one thing that we heard frequently was that the future of animal rescue will fall to the next generation. While we believe that we can put an end to shelter killing in the near future, there is no doubt that the education of the next generation is vitally important! 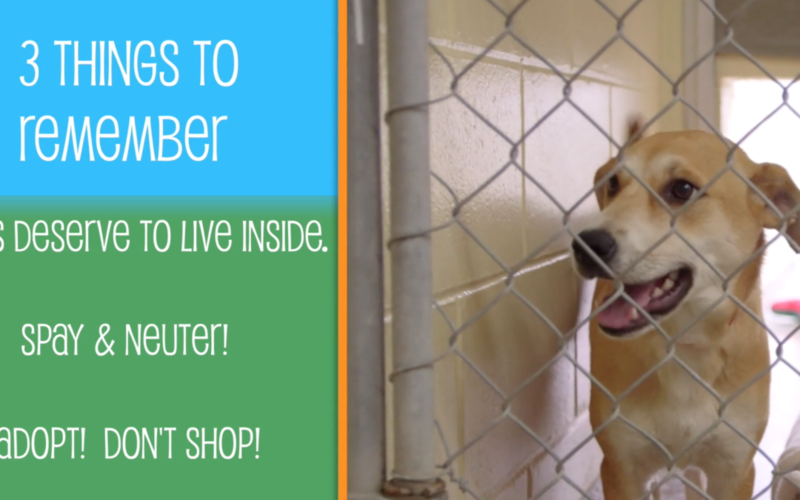 To that end, we’ve created a short eight minute video designed to educate kids on the basics of animal rescue: adopt don’t shop, spay and neuter your pet, and treat your pets like members of the family! Please feel free to share this video with the kids in your life, as well as rescues, and educators. Together we can fix it! Cats, Dogs, and You! from Rescue Docs on Vimeo. Outstanding!! What fantastic and honorable work you do. Thank you, sincerely. Join our mailing list to receive the latest news and updates on current and upcoming projects.